Beautifully handcrafted by our in house carpenters in Lincolnshire, England that use traditional methods and tools to create that perfect retreat for your canine friend. All painted in a selected range of Farrow & Ball exterior eggshell colours. 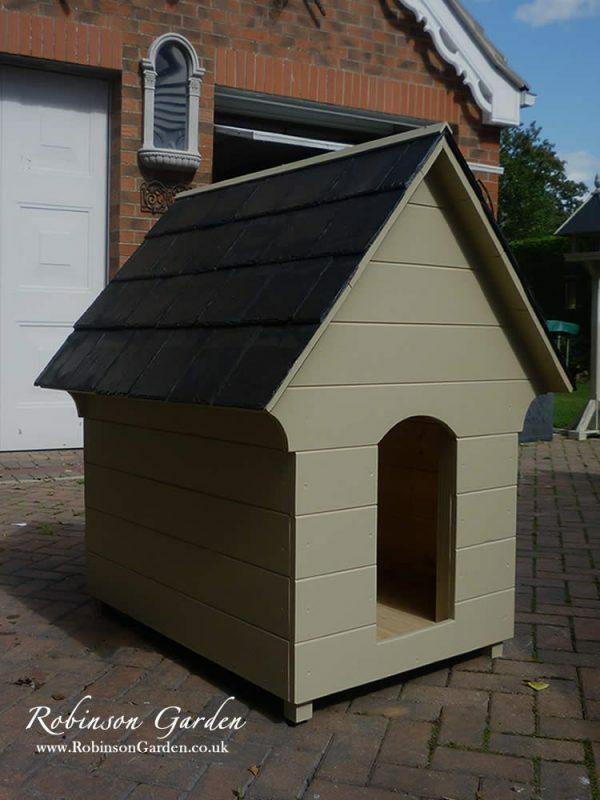 This beautiful dog house is suitable for medium sized dogs. A perfect addition to your garden and an ideal gift for your much loved canine. A perfect home or retreat designed for medium sized dogs, if you require another size please contact us. 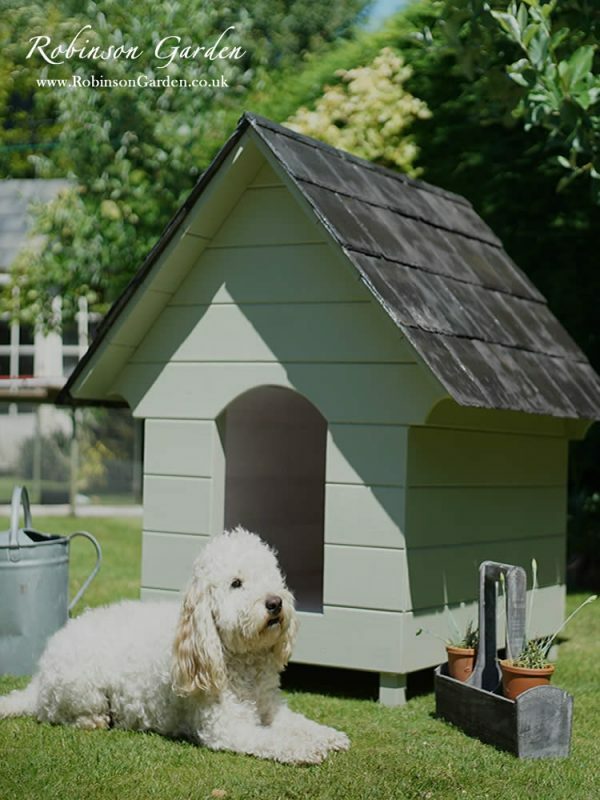 This bespoke dog house offers a perfect shelter for your Dog for outdoor use, just in case there is a surprise rainfall or snow. Afterall, we cannot always predict the uncertainty of British weather! Delivered fully assembled by our in house carpenters with an attractive reclaimed Welsh slate pitched roof. A choice of wood or slate roof ridges.